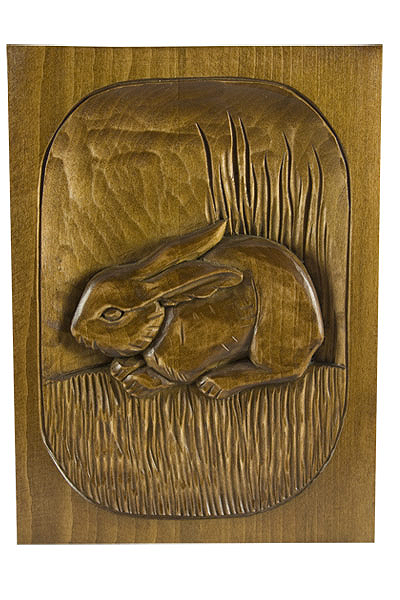 This wooden carving depicts a rabbit in its natural setting. 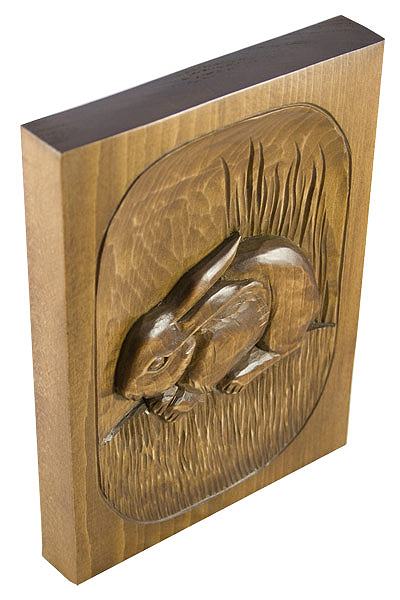 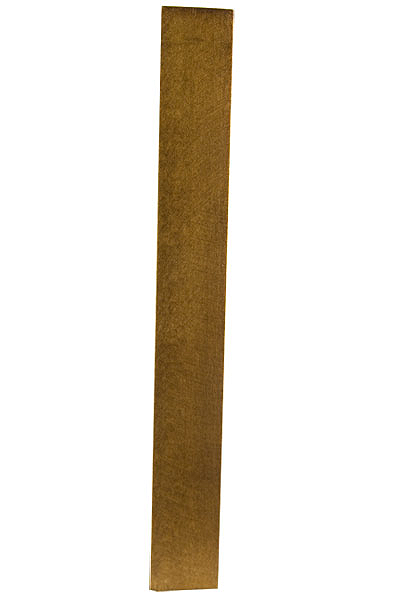 The charming piece is inspired by folk art and is suitable in any home and working environment. 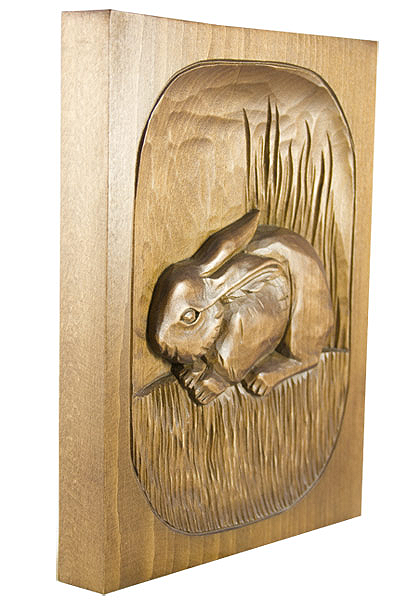 This carving can be custom designed and engraved.